A new deal with record labels could help the company finally go public. According to a new report in The Financial Times, Spotify is discussing making high-profile releases exclusive to paid subscribers temporarily, in exchange for a reduced royalty rate paid to record labels. "[T]he music companies have agreed to trim the royalty fees that Spotify pays for their songs, according to people familiar with the discussions," the Times wrote. "In exchange, Spotify would restrict the biggest album releases to its paid tier for a period of time." 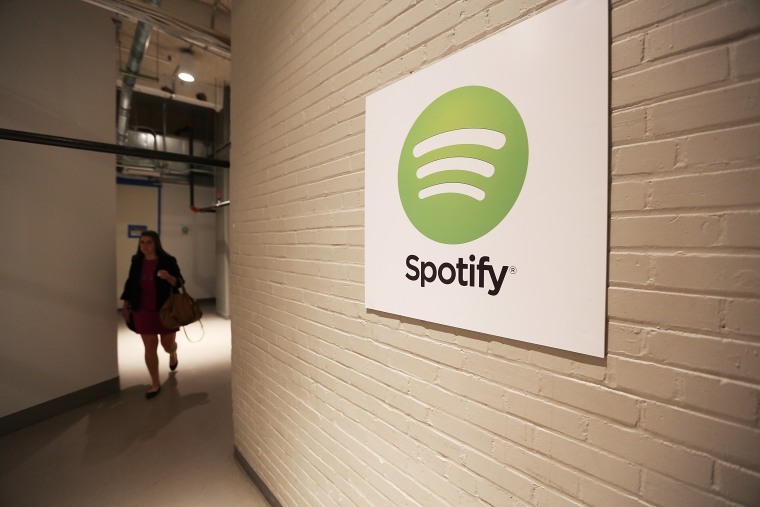 Lawyers representing the streaming platform are currently deep in negotiations with Universal, Sony, and Warner Bros., the three major labels who own the rights to a significant portion of Spotify's music library. If finalized, the deal would help Spotify move towards an initial public offering, and show investors that the company can secure long-term investments. Spotify is currently valued at $8.5 billion, and has 50 million paid subscribers. Spotify is one of the largest streaming platforms that offers a free service. Apple Music, one of Spotify's competitors, is known for its high-profile exclusive releases: Drake's Views, Chance The Rapper's Coloring Book, and Frank Ocean's Blonde were all exclusive to Apple Music when they initially launched. Representatives for Spotify were not immediately available for comment.